Age Discrimination Research Papers discuss how the law came about. Age discrimination is prohibited under the Age Discrimination Employment Act of 1967 as amended by the Older Workers’ Benefit Protection Act, 29 USC 621. In addition, age discrimination is prohibited through the operation of other federal and state statutes that prevent disparate treatment of similarly situated individuals. Numerous court decisions at both the federal and state level have further refined the operation of the statues, establishing a relatively defined legal landscape with regards to age discrimination. As a result, it is not considered age discrimination if an employer can show that the discharge or mandatory retirement of an older worker is the outcome of the worker’s inability to perform a bona fide occupational condition. The operation of this exception can be seen in the airline industry in which FAA regulations prevent pilots from flying commercial aircraft after they have reached the age of sixty due to safety considerations. Since the exception applies only to the task of piloting, the airline industry cannot refuse to give the pilot other types of non-piloting type of work. Federal code 29 USC 622 et. seq. states that: “It shall be unlawful for an employerto fail or refuse to hire or to discharge any individual or otherwise discriminate against any individual with respect to his compensation, terms, conditions, or privileges of employment, because of such individual's age.” The prohibition against age discrimination is direct and unequivocal. The act further states, however, that “where age is a bona fide occupational qualification reasonably necessary to the normal operation of the particular business” an employee may be discharged due to age without the employer facing age-discrimination sanctions. In addition, the act permits mandatory retirement policies that take effect at age 70. The act also establishes a protected class of individuals over the age of 40. 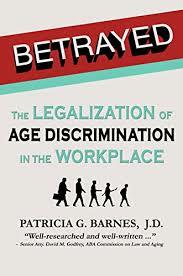 The Act, however, does not offer specific guidance in determining whether the discharge of an employee is the result of discrimination or the inability to continue performing essential occupational tasks as the result of advancing age. The authority to make the determination as to whether a particular employment condition operates as a bona fide employment condition as defined by the Act was granted to the Secretary of Labor. Because the administrative decisions of the Secretary of Labor were often disputed, a wide body of case law has developed to define the parameters necessary for a prima facie case of age discrimination as well as some narrowly tailored exceptions. Paper Masters writes custom research papers on Age Discrimination and discuss how the law came about.